I loved the texture of this sunscreen and the fact that it's all mineral based. Sadly though the colour is completely off. It's way too dark and pink toned :-( please make another one without any colour to it for us fair skinned people! Marta - The best texture, but the shade is not universal. It's the best sunscreen for the face that I've tried (I've tried about 15 of them). It glides on the skin perfectly, feels almost watery and does not leave heavy layer. It didn't dry out my dry skin, but I pile on another moisturizer under it. When my skin is very sensitive after another treatments it can sting a little bit upon application, but it's nothing like the synthetic sunscreens and it passes almost immediately. Most days I don't have this issue. I like that it is not waterproof as I don't need that for every day use and non-waterproof sunscreens tend to be lighter and easier to remove. When put on in correct amount (1,25 ml for the face) it doesn't dry down completely and it stays a little bit tacky, but it's nothing that a little bit of setting powder won't fix and I don't mind that. My only issue with it that it's too dark and too peachy for me. I have pale Slavic coloring, with yellow undertones. This sunscreen shifts form pale beige-pink right out from the tube to light-medium peachy tone after some time on the face. As I use it only on the face (price) I have to use bronzer on my neck and chest to make it match. 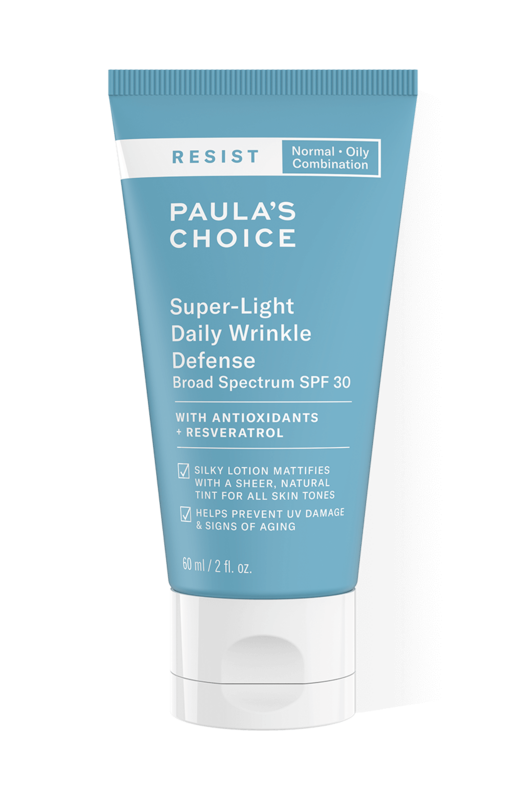 I'd love if Paula's Choice made also untinted or lighter version of this sunscreen. In the mean time I will still use it unless I find something as good and untinted. I used it all summer as all-in-one sunscreen and sheer foundation to replace the Barely There Sheer Matte tint (which seems to be out of production, regrettably). Happy with the results, solved my summer skin problems. One of the few products I could actually tolerate in hot, sticky days. I wouldn't consider it much of a moisturiser though, in normal conditions. Also, I'd still prefer a more ecofriendly version. However, it performs really well and I like the light texture and sheer coverage of this sunscreen. I've been using this moisteriser for years now and still stick to it. It's perfect for weekends when you do not want to wear much makeup, or no makeup at all, as it's lightly tinted and covers few brown spots and spots marks here and there. Plus it evens out the skin tone, giving you a better glow for the day. During the week I don't have much time for my makeup routine and don't want the full coverage effect. I like natural looking styles. Technically speaking I first use this product, which dries quickly and is non sticky, and then I use the pinpointing coverage technique on spots and darker areas. After that I use foundation powder and that's it: flowless, matte and natural looking. Texture wise this product is just perfect then, plus it keeps my skin from drying. So happy it exists! 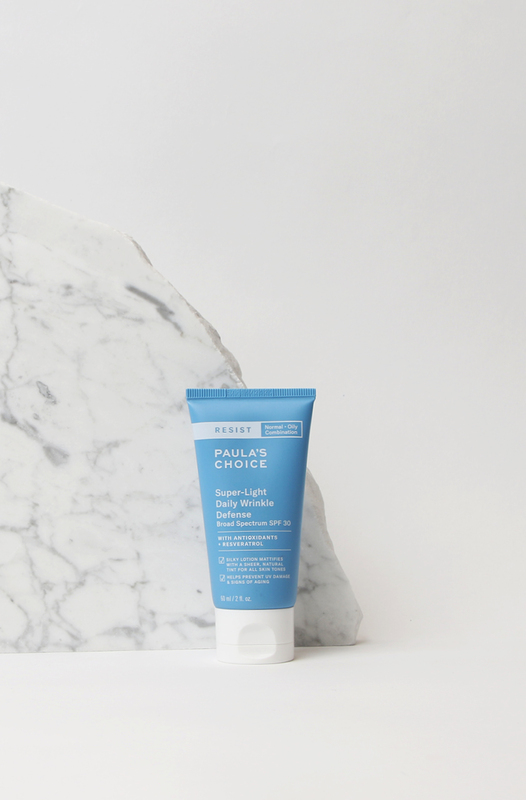 This is my favourite product from Paula's Choice and I use it every single morning. It keeps me matte and my foundation stays all day. The tone is very suitable for my light skin and I do not use primer when I use this moisturizer. The only complaint I have is that the price goes higher and higher every time I look at it in the website.